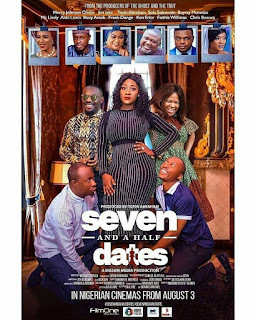 Undisputed heavyweight actress, Mercy Johnson Okojie stands beautiful between comedy genius, Frank Donga and angry comedian, MC Lively - they both appear to be struggling for her hand in this new official poster of Seven and a Half Dates movie. It stars the new box office queen Toyin Abraham as well. In cinemas from August 3, 2018. The trailer will follow this official poster in the coming days. TAG the actors you can see on this poster! Let's see if you know your stars. 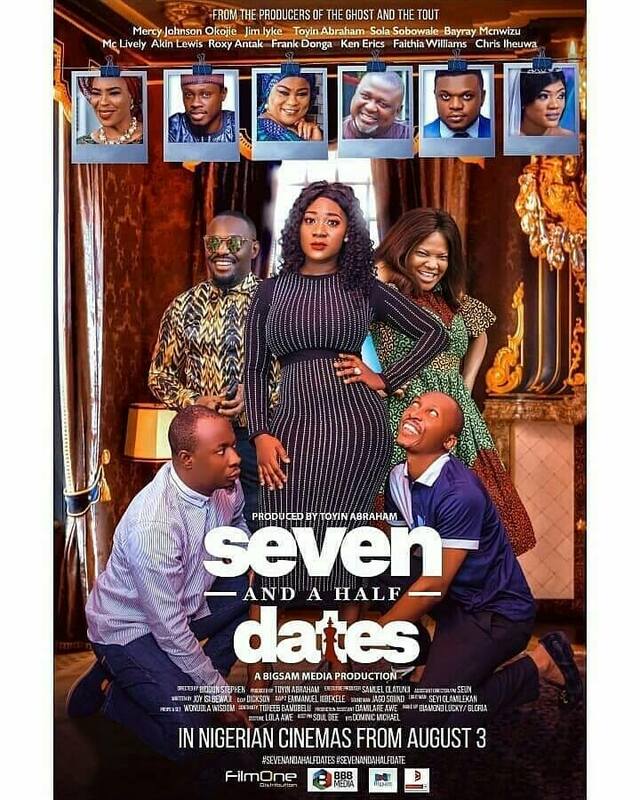 For more update, follow the hashtags: #SevenAndaHalfDates #SevenAndaHalfDate on social media.